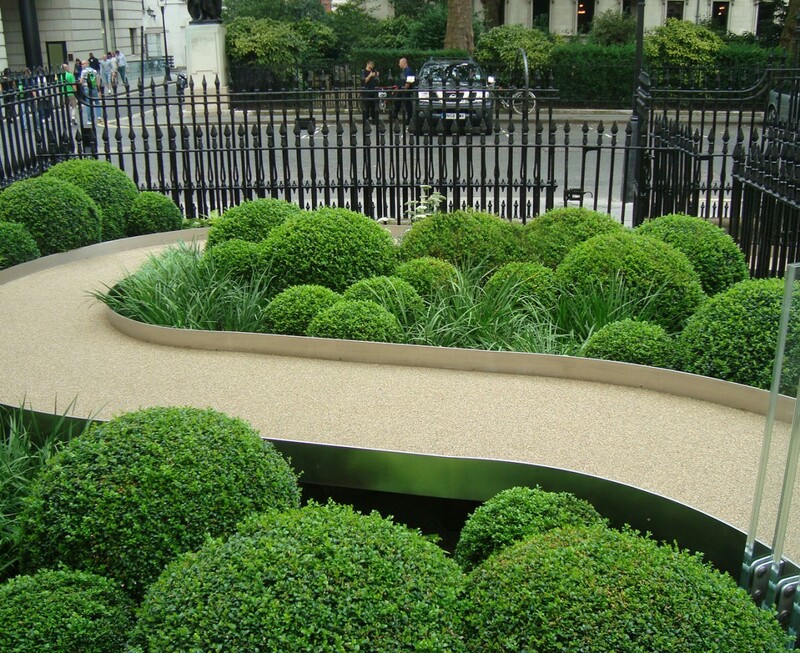 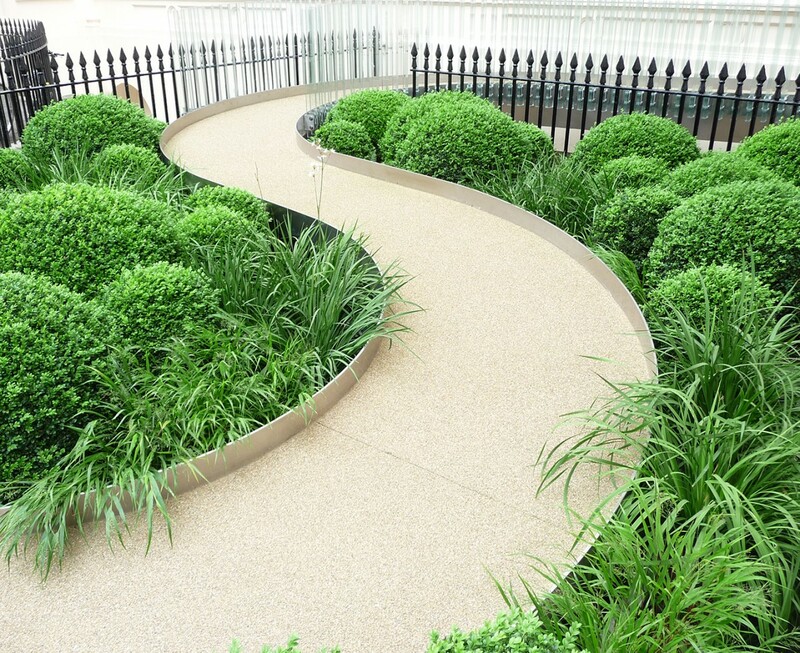 Our concept took inspiration from one of Hockney’s landscape paintings, with a sinuous gravel path cutting through lush evergreen planting, reminiscent of rolling hills and fields. 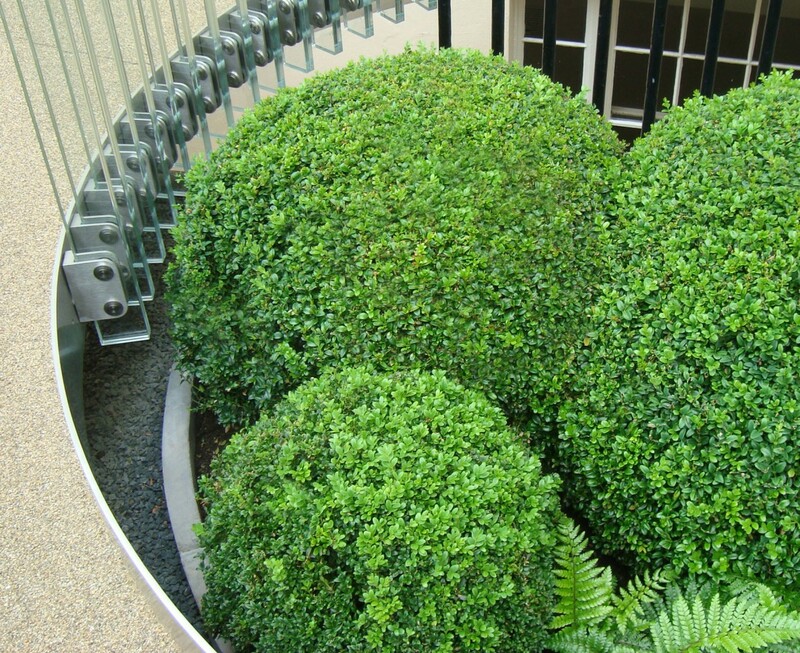 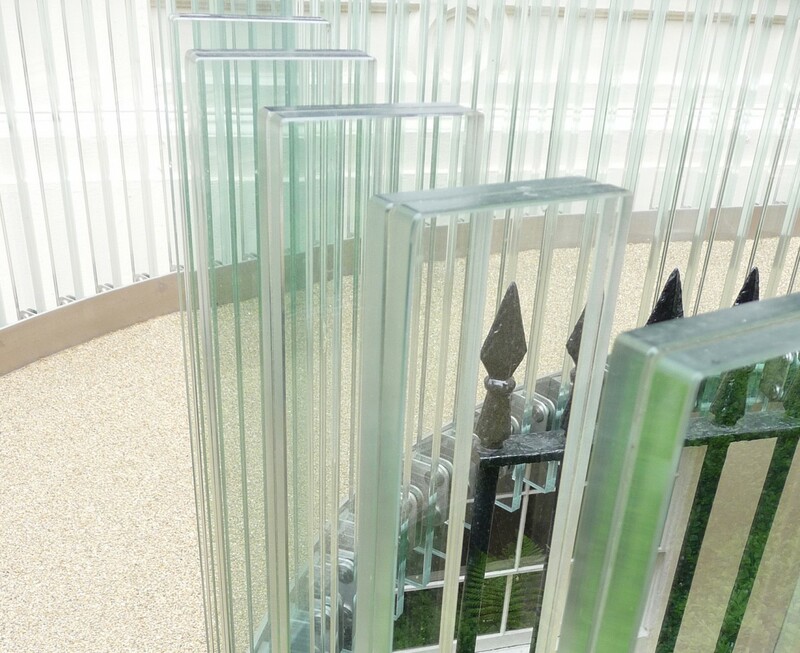 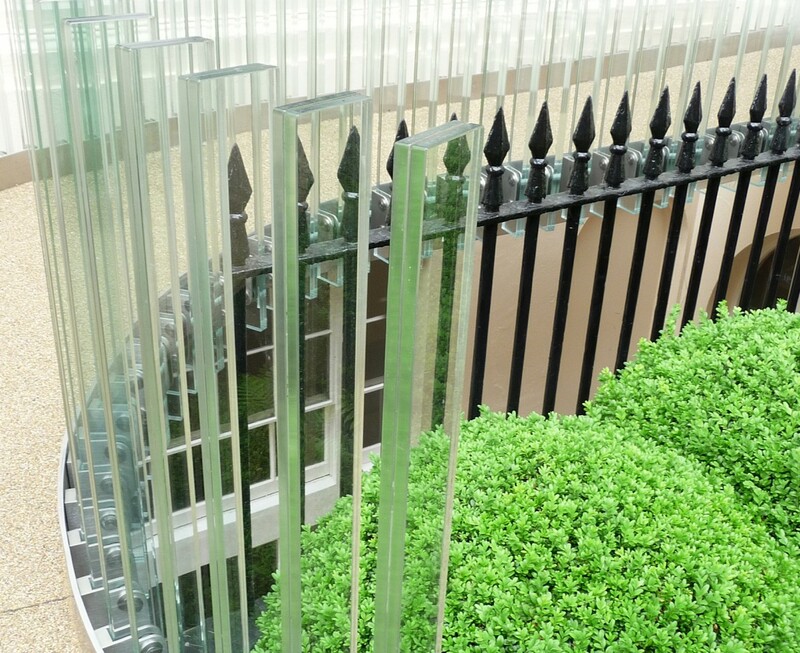 A glass balustrade cut through the original railings and added a contemporary dimension to a traditional feature, while box balls of varying sizes were a modern take on the type of planting that would originally have been planted there. 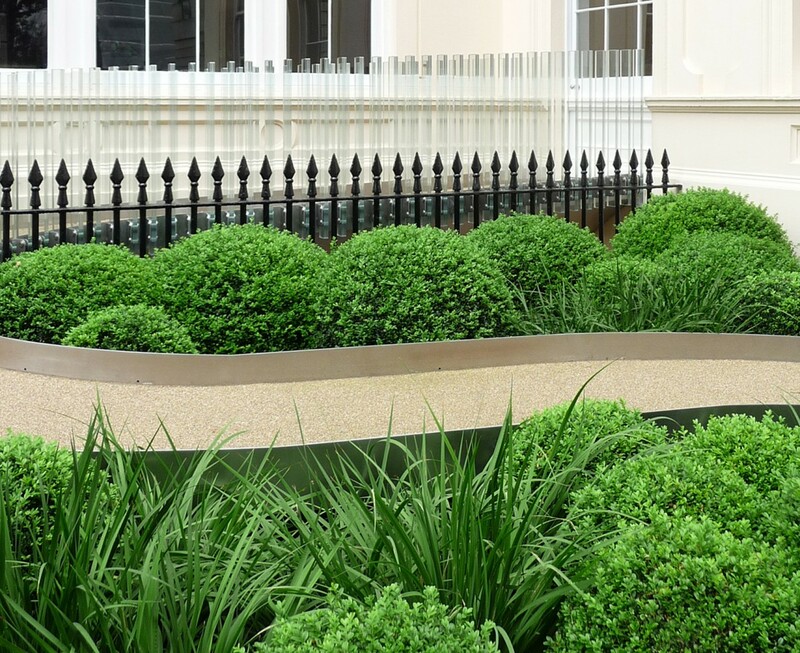 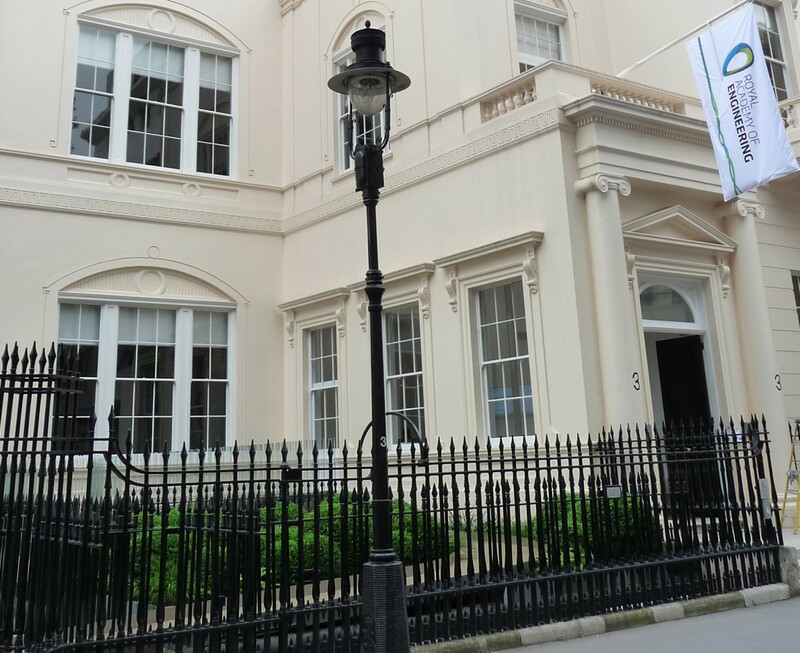 A disabled access route and forecourt to this grade 1 listed Regency building, the space sat over an underground building so had the additional challenge of limited planting depths.